Children whose parents work in quarries often do not have the opportunity to go to school. 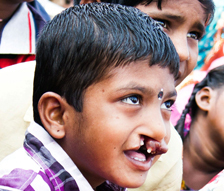 Raju has suffered socially and developmentally for years because of the a gap in his upper jaw and large, out-turned lip. The lip revealed teeth and gums that were badly deformed. 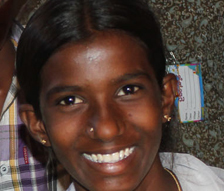 We first met Kavitha through VBS, where she eventually committed herself to Christ. Kavitha faces many challenges at home because of her commitment. Spam Challenge: How many fingers does a typical person have? 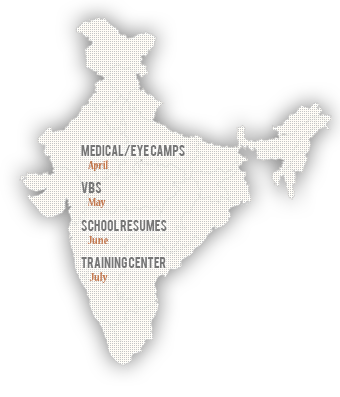 The boarding school provides hope and a future for impoverished children. More than 10,000 children attend Vacation Bible School to receive love and hear the good news of Jesus. A single well can save an entire community from the effects of water-borne illness. Stay connected to Good Life Ministries by subscribing to our newsletter. Enter your email address in the space to the right to be subscribed!